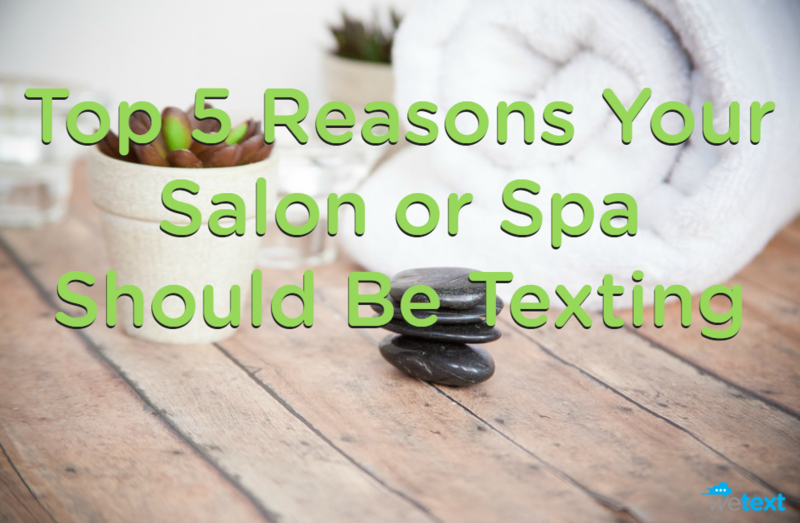 Text messaging is an easy, effective and affordable way that salons and spas can market to their customers. These types of businesses can increase both revenue and customer loyalty by simply communicating using the number one app installed and used on every cell phone worldwide. From delivering digital coupons to advertising text-club-only discounts, you can text it all. Over 90% of text messages are read within the first five minutes of receipt. Compare that to 16% of your emails will be read by your customers and only 3% of your Facebook followers will see your post. Those numbers alone should be enough to get you started on your text campaign! Did you know that almost 90% of young adults have their phone at their side day and night? Unlike printed materials, your message will be with your customer wherever they go. No matter if they’re on vacation, out of the office or grocery shopping, you can rest assured knowing that your subscribers will read your message. Text marketing is one of the most affordable outlets available. Even on social media, you’re now forced to pay to have your content seen by your target audience. WeText packages start out for as low as $33 per month! Utilizing text messaging is effective because your subscribers are choosing to receive your content. When they decide to opt-in, it’s because they want to. They believe you’re going to deliver something of value to them because they already love your business. Want a few ideas on the types of messages you could be sending? Ready to give text messaging a try? Click the FREE TRIAL button at the top of the page and get started today!